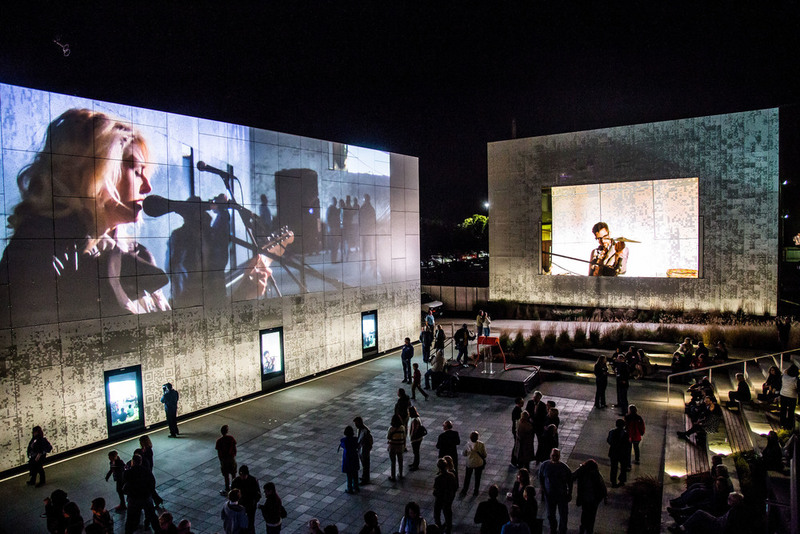 The Public Media Commons will be featured in the March/April issue of Texas Architect Magazine. In the article, the author, Michael Friebele interviews design team member Andrew Colopy of Cobalt Office, currently teaching at Rice University. Work continues at Morey Field House, Principia College. Click here for more construction progress photos. If you need accurate field measurements in your neighborhood, who you gonna call? GeoSLAM! Our friends, and part time ghost busters, Horner & Shifrin Engineers, have deployed GeoSLAM mobile 3D mapping technology to provide our team with accurate field measurements for our renovation project at the Marycliff Retreat Family Lodge in Wildwood, Missouri. Equipment is supplied by Seiler Instruments. This exciting 3-dimensional mobile scanning technology can provide accurate point cloud data of existing conditions in fractions of an inch and can be done in a fraction of the time it would take using other methods. For this project, we will utilize multiple 3D scanning technologies to create a single digital model that integrates both exterior and interior point clouds. 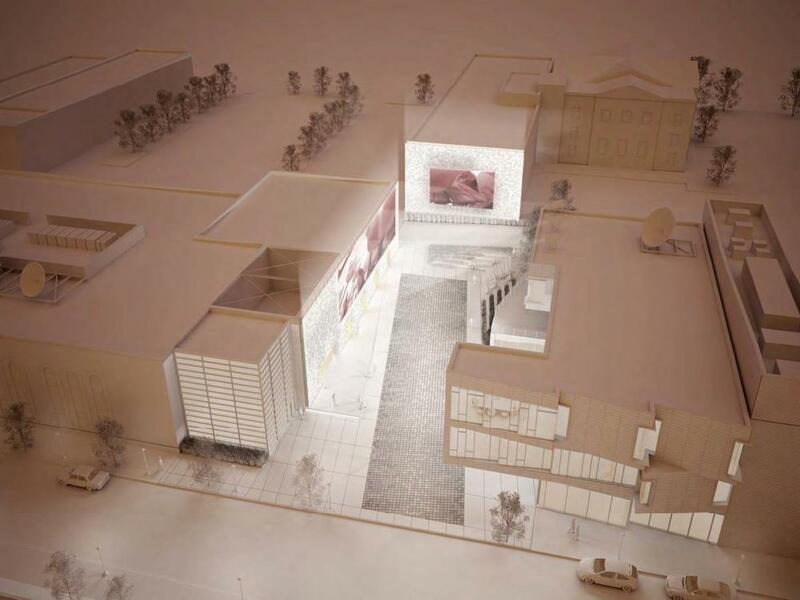 The resulting model will then be used as a starting point for proposed renovations as well as a continuous reference throughout the project timeline. Work is in progress at Morey Field House, Principia College. 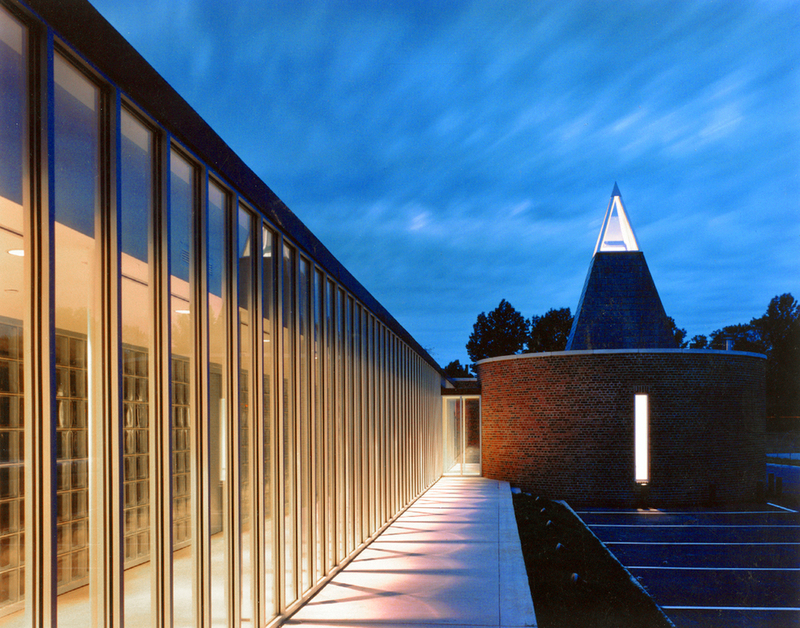 Photo below by John C. Guenther, FAIA. Click here for more construction progress photos. 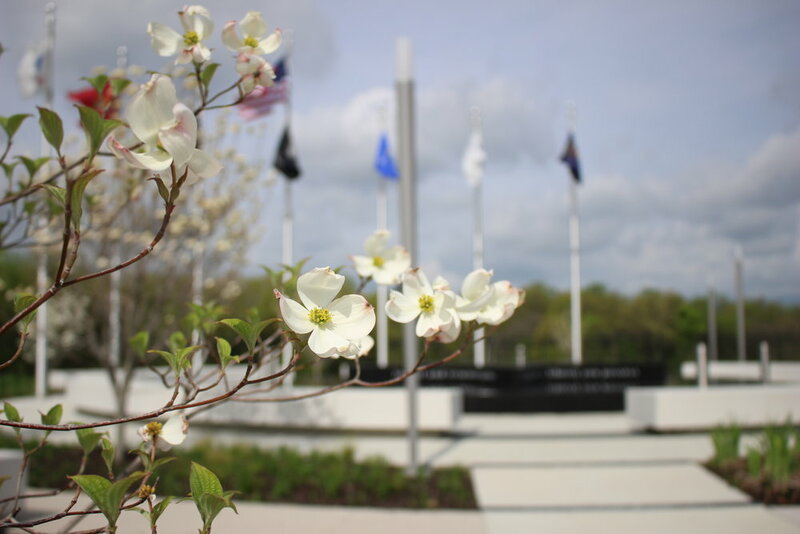 Spring has sprung at the Veterans Honor Park! 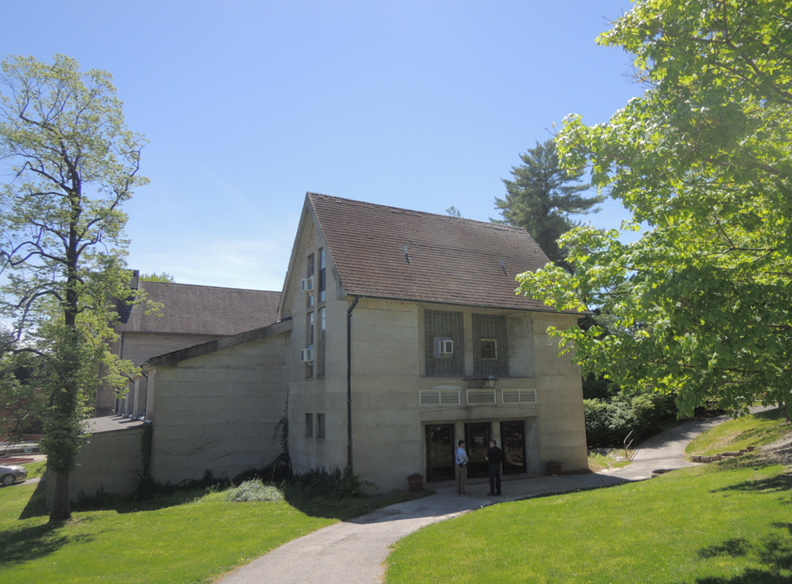 We are currently working on an exciting project to renovate a building built in 1936 and designed by the visionary Architect, Bernard Maybeck! Click here for a few more shots of the building as it exists today. Stay tuned for progress! New Photos of the Veterans Honor Park from Ben Scherliss have arrived! The Veterans Honor Park was dedicated on May 3, 2017 and is now open to the public. Click here to view a slide show of the project time line. 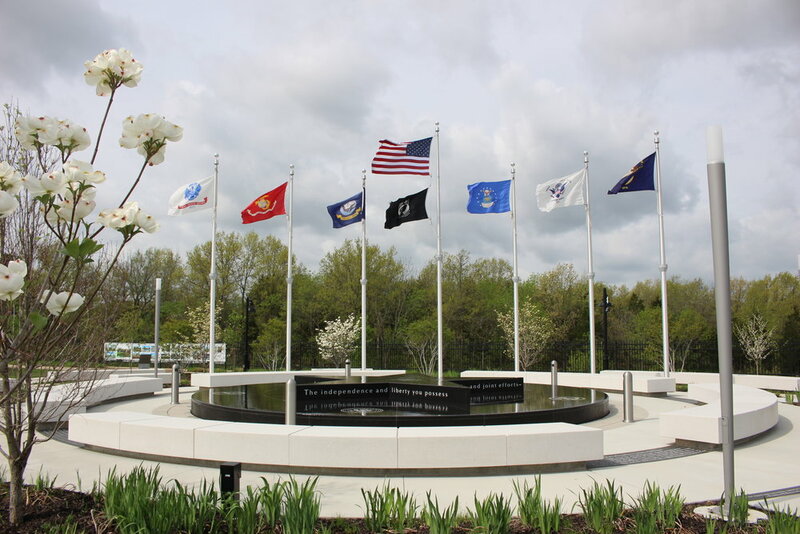 Located within Chesterfield Central Park near the south entrance of the Chesterfield Amphitheater at 690 Veterans Place Drive, the Veterans Honor Park is dedicated to honor Veterans of the United States Armed Forces, past, present, and future. Please drop by for a visit! The Sheldon Plaza and Parking Lot project is shaping up! Check out the latest update on the webcam here. All of our past successes are the result of joint efforts with our clients and consultants. The bedrock from which we build a successful project consists of empathy with our clients and their needs. It is our first priority to listen to our clients and then respond with counsel deriving from our experience. The above quotation will be engraved into the granite fountain at the soon to be completed Veterans Honor Park in Chesterfield, Missouri. We, with our consultants, are grateful and honored to be working with the City of Chesterfield and Veterans Committee (made up of so many honorable Veterans and their families) toward the completion of this special project. The Veterans Honor Park will be a place to connect with and honor Veterans and their families, past, present, and future. We invite you to visit when it is completed in the Spring of 2017. We also invite you to read George Washington's Farewell Address and contemplate, with us, his message of unity as we move forward in life and work, striving for joint efforts and successes. PBA is honored to announce two design awards from the St. Louis Chapter of the American Institute of Architects! We are delighted to learn that the Webster Groves Public Library has received an Honorable Mention Award for Architecture from the City of Webster Groves 2014 Awards of Excellence ! From the City's website, "The annual Awards of Excellence are sponsored by the City of Webster Groves, select Boards and Commissions, and the Webster Groves Historical Society. These awards identify projects in the City that exemplify excellent design and acknowledge the owners, designers, and builders for their achievements and contribution to the community in the areas of architecture, historic preservation, landscape architecture, and craftsmanship."